Black pepper is used to compliment the natural richness of this Wild Alaskan King Salmon. Thick cut by hand, this Peppered Salmon Jerky is high in Omega 3 fatty acids. 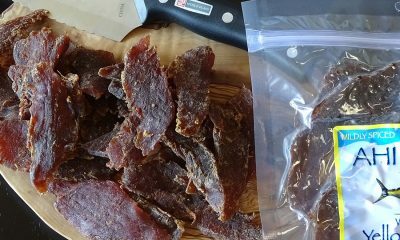 Solid strips of fish make this jerky authentic; no mincing, chopping or forming here. Just some freshly cracked black pepper and a hint of garlic. 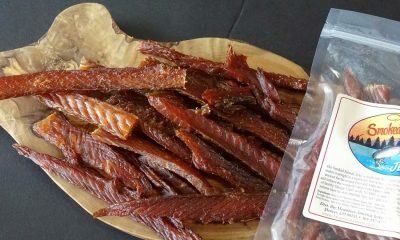 Our Peppered Salmon Jerky is made from thick cut King Salmon and is marinated and smoked daily. It is preservative-free with no added MSG, nitrates, or other fillers. Try our Peppered Salmon Jerky and discover a healthy snack that will awaken your senses. Really delicious pepper jerky, my favorite of the fish options. 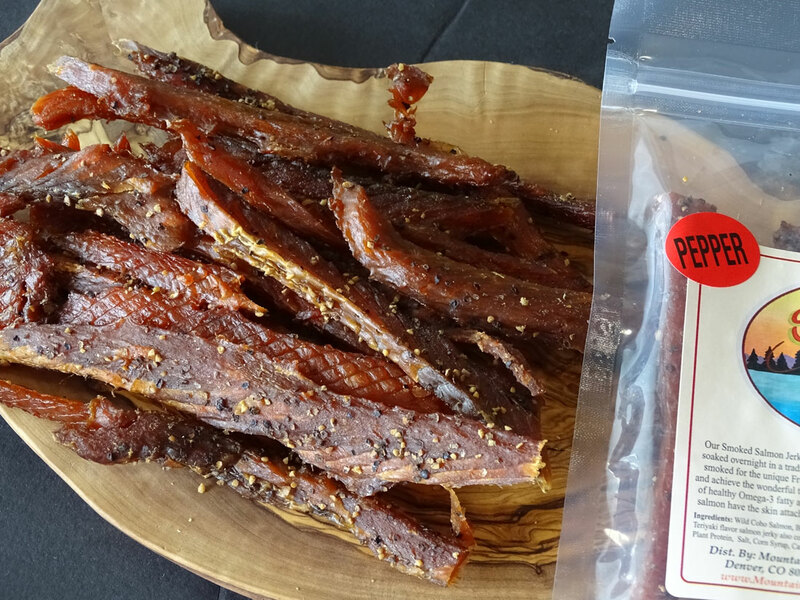 EXCELLENT – I was blown away at how great the Peppered Salmon Jerky tastes. I will definitely order more of this, Perfectly smoked and great taste! The peppered salmon jerky was phenomenal. Perfect in every way! This will always be included in any order from the site. I was upset that I ordered the smaller package when it was all gone. 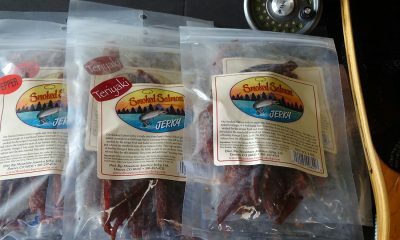 This is probably my most favorite jerky to eat – super tasty and the pepper adds just the right spice and taste. Very tasty! The pepper gives it a little kick that combo’s great with the salmon! Absolutely loved it! The peppered salmon jerky is excellent, and the price is great! 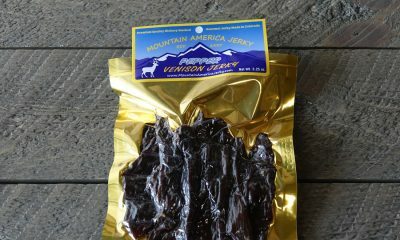 Delicious, hearty jerky. I’m looking forward to trying other flavors, if I can resist getting this again! I love the Peppered Salmon Jerky!